Small Bottle, Big Flavor – Annoyingly Boring? 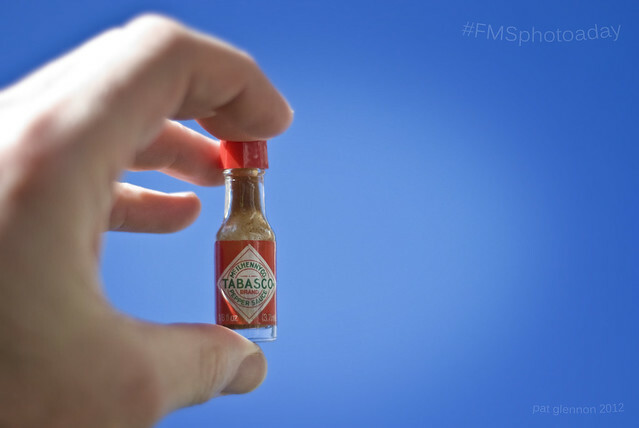 I don’t recall where this tiny bottle of Tabasco came from, but it’s been in the cabinets for ages. I was stumped for a small photo that was unique until I remembered we had it. Thanks to the man upstairs for an awesome backdrop.